Rotoscope by Max Fleischer, patent drawing from 1914. Animation has come a long way since the days of the first cartoon motion pictures in the early 1900s. It’s come so far in fact that it’s difficult to believe it started as a few hand-drawn images on a page. Compare and flick book to the trailer for Pixar’s upcoming movie Brave and you’ll get the idea. But here we are, in a world where computer generated imaging has quite literally taken over the world of animated film: when was the last time Disney released a ‘2D’ movie in their original style? It’s been some time indeed. All this talk of the history of animation in film also brings us to those technologies which had a go, but never really took root. Rotoscoping is a prime example of this. You’ll likely already know exactly what it is, but for those of you in the dark, rotoscoping refers to the process of ‘tracing’ over film frames to perfectly capture movement in animated form. It’s a production method which had a fairly strong start, but due to a relatively expensive process and a lack of demand, it seems to have petered out. So let’s take a few moments to look back at the history of rotoscoping, and find out why it’s well overdue a renaissance. In 1915, silent movies were all the rage. In fact, motion pictures were something completely new, and they fascinated the public. When early animators started to produce films featuring moving drawings, animation as we now know it was born. It was during this time that a man called Max Fleischer developed a series of movies called Out of the Inkwell. These silent films are some of the earliest examples of animated films, and introduced the concept of rotoscoping. Fleischer would film his brother performing the movements of Koko the Clown, then trace over the frames by hand to produce the realistic movement seen in the Out of the Inkwell films. Rotoscoping enabled animators to create impressive moving pictures which were both animated and believable at the same time. This set a new standard for animated motion pictures, and turned Fleischer into one of the pioneers of animation. 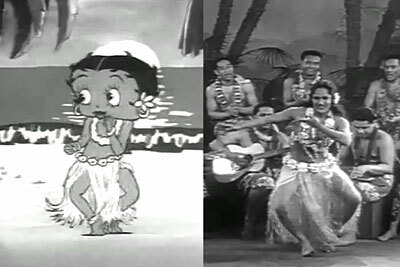 Betty Boop in Bamboo Isle (left) and the Royal Samoans from the opening credits of Bamboo Isle (right). From these beginnings, rotoscoping went on to be used in countless early cartoons. Another well known example is Betty Boop in the 1930s, whose hula dancing and other movements was rotoscoped to ensure accuracy. Because of the involved nature of rotoscoping, it has only really been used regularly to emulate complex movements of humans and animals. But in the 20th Century it was still used frequently on numerous large budget productions. Many of the major Walt Disney pictures employed elements produced via rotoscoping, notably 1937s Snow White and the Seven Dwarves. 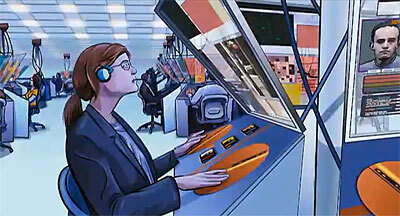 Other uses of rotoscoping in the mid-late 20th Century include instances of the Beatles’ Yellow Submarine, as well as many animated movies in the 1970s. 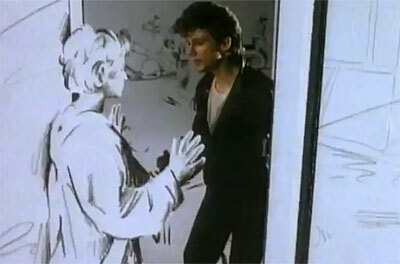 One very well-known use of the rotoscope is in the 1985 music video Take On Me by the band A-Ha. The reason that rotoscoping isn’t used extensively is that it is very difficult to do well. Because each frame needs to be traced, it takes a steady hand to ensure lines are clean and even from frame to frame. Without perfect tracing, rotoscoping produces a ‘wobbly’ image – which is now used to stylistic effect. In the 21st Century there have been two notable uses of the rotoscope in major film releases: Waking Life in 2001, and A Scanner Darkly in 2005. In the case of both of these films, the use of the rotoscope effect links directly into the style and atmosphere of the story. 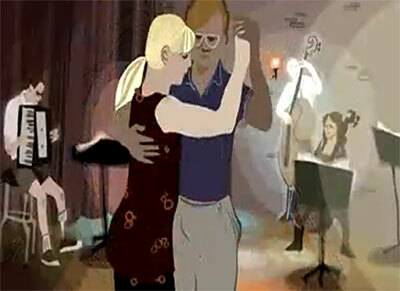 Waking Life is an unusual and disjointed film that features a man travelling through a dream-like world. The rotoscope effect lends each shot an ethereal and unreal touch, and really adds to the depth of the film. Again, with A Scanner Darkly, the story is an unusual sci-fi tale about a dystopic future. The rotoscope once again helps in creating an alien-esque world. Even the ‘boiling’ of the edges between frames helps the both of these films achieve their stylistic goals. Whether or not film producers will once again turn to the rotoscope to present their movies still remains to be seen. There are certainly no known animated features that include the effect. Perhaps then it lies in the hands of animators to find new ways to employ the technique; and the web provides the perfect platform to distribute them… so what are you waiting for? This guest post was written by Olivia Lennox who loves cinema almost as much as she loves writing. When she isn’t working for SEO company UK or similar, she’s in her local arthouse watching the classics or the movies that time forgot.